John Robert Murff was born on April 1st, 1921 in Burlington Texas. He served in the Army in World War II & it was there he began to play baseball. The six foot three right hander was a star minor league pitcher as soon as he signed out of Gettysburg College. After winning 17 games in his first year of pro ball he went on to win twenty games the next two seasons. In 1951 he pitched a no hitter pitching for the Texas City Texans & the following year pitched 19 2/3 innings of a twenty inning game although he took the loss. By 1955 he was 27-11 with a 1.99 ERA for the AA Dallas Eagles winning the Texas League Player of the Year Award as well as the Sporting News Minor League Player of the Year. Back injuries prevented him from ever becoming a full time MLB pitcher. He was signed by the New York Giants but was soon traded to the Milwaukee Braves for a player to be named later. 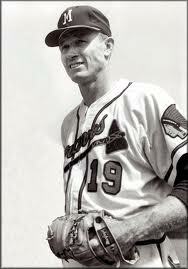 In 1956 he made the Braves staff and debuted as a rookie at the age of 35. He was the team's starting pitcher in the fourth game of the season, allowing five runs on seven hits to the St. Louis Cardinals but earned no decision. He was moved to the bullpen where he got credit for one save appearing in just 14 games on the year. In 1957 he began the year with a save & then beat the Cincinnati Reds for his first career win. By early May he was 2-0 with two saves & an 0.93 ERA before he went downhill. He lost his next two decisions & raised his ERA to 4.85 by the end of the month. He was sent back down & never returned to the major leagues. 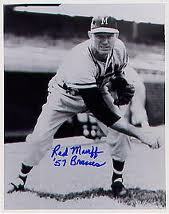 He pitched in the minors until 1960 ending his minor league career at 146-95 with a 2.94 ERA. He quickly became a minor league manager in 1960 & there he convinced a young Phil Niekro to throw a knuckleball. The following year Murff then began a very successful career as a scout. First he scouted with the new Houston Colt 45's where he signed a young fellow native Texan, a catcher named Jerry Grote. Murff was later instrumental in getting Grote to the New York Mets as he convinced the Mets brass of how good he was. He & Grote remained friends for the rest of his life. 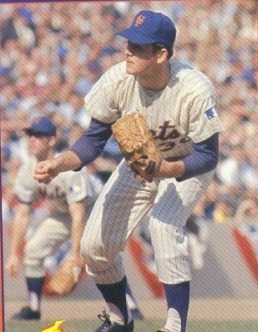 Murff began working for the Mets in 1963, and through the next few years was responsible for signing many of the players that would make up the core of the 1969 World Champions. He held the first ever try outs for players enrolled in job training programs, & helped establish winter instructional leagues in Mexico. He followed the tip from an usher at Shea Stadium who had a son pitching at Fort Bliss Texas who was talking about a great pitcher they had down there. The pitcher turned out to be Jerry Koosman and although he seemed lax & a bit over weight he was signed by Murff. By the time the Mets won the 1969 World Series, Murff was working for the newly formed Montreal Expos team as a scout. He worked in their organization through 1986 & was named Montreal's scout of the year in 1975. He then went on to the Atlanta Braves organization from 1987-1991 before retiring. He helped establish baseball at the University of Mary Hardin- Baylor near his home & had the ball field there named after him. He also helped develop a program to have released players get a college education while playing baseball there. Murff also wrote a book & was elected to the Texas Baseball Hall of Fame in 1989. 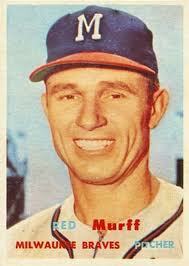 Passing: Murff passed away in 2008 at a nursing home facility in Tyler, Texas at age 87.